The events of the upcoming Warlords of Draenor DLC will be set in the new world, where the orcs and the draenei race live. The location will consist of seven zones with their own bosses, dungeons, combat arenas and thrilling missions. Besides that, this expansion will bring some updates to the game’s characters (people, dwarves and orcs). The players will also get an ability to built the garrisons, which will be used as the operational bases. But besides the Warlords of Draenor release date and the latest video, Blizzard Entertainment company has pleased the RPG’s fans with another good news. The studio has launched the Lords of War movie, which includes five short animated episodes. As the Blizzard’s senior vice-president - Chris Metzen - has mentioned, the Lords of War movie was created in order to introduce the main Draenor’s leaders to the gamers, because lots of World of Warcraft players have never met these characters before. The first Lords of War movie’s episode was presented yesterday. It tells about a gladiator and a slave - Kargath Bladefist. In the next parts of the film, we’ll be able to learn more details about Grommash Hellscream, Kilrogg Deadeye and Durotan. Let us remind you that now you can pre-order the Warlords of Draenor DLC for $50 or its special digital edition, which costs $70. The last one includes the copy of the project and some additional in-game content (Dread Raven, Dread Hatchling, etc.). So, did you like the fresh trailer and the Lords of War movie? 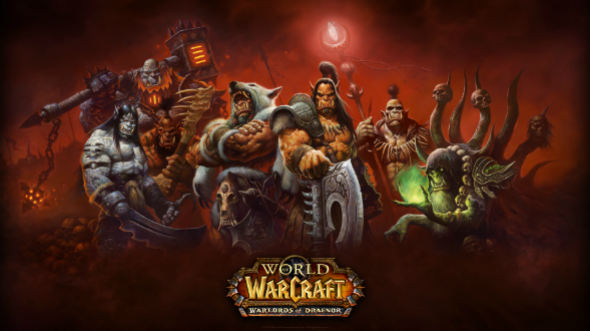 Are you pleased with the Warlords of Draenor release date?